What’s the role of theater in this time of Trump? For the hosts and writers of late-night TV comedy shows as well as the anchors and producers of hyperkinetic cable-news programs, President Trump is the gift that keeps on giving. But what about theater? What is the role of playwrights when confronted with an unprecedented figure like Trump and the overheated political environment he has generated? Last weekend brought the premiere in Los Angeles of “Building the Wall,’’ a drama by Robert Schenkkan inspired by Trump’s immigration policies. Schenkkan — who won a Tony Award for “All the Way,’’ about an earlier US president, Lyndon B. Johnson — has said he wrote the new play in a “white-hot fury,’’ in only one week. That represents an unusually speedy turnaround in the world of theater, which typically is a slow-gestating art form, its seasons mapped out well in advance. Should theater now shift into a higher gear to bring more new works to audiences at a time when there is an urgent need to hear the voices of playwrights? When I posed that question to several dramatists, the answer was, perhaps surprisingly, no. (They were considering the issue broadly, so their answers shouldn’t be seen as referring to “Building the Wall.’’) In their view, theater’s job at this fraught moment is to help us figure out who we are as a nation, and that doesn’t necessarily mean churning out plays that respond quickly and directly to Trump. Instead, playwrights should carefully and methodically construct a counter-narrative that rebuts the story Trump tells about America. Alternative facts, if you will. In general, theater is unable to match the rapid-response capability of television: “Saturday Night Live,’’ Samantha Bee, John Oliver, Stephen Colbert, Trevor Noah, Seth Meyers. Even sitcoms like ABC’s “black-ish’’ and dramas like CBS All Access’s “The Good Fight’’ have moved quickly to incorporate Trump’s election into story lines. A wide range of musical artists have already had something to say, including Snoop Dogg, who created an uproar with a music video that shows him firing a fake pistol at a clown dressed like Trump (a flag with the word “Bang’’ comes out of the gun, and the Trump character is later seen in chains). Playwrights who want to create work of lasting value could write dramas that tell the stories — in all their complex individuality — of those whom Trump has disparaged or who may bear the brunt of his policies: immigrants, Muslims, women, racial minorities, the disabled, the poor. According to a review in The Hollywood Reporter, Schenkkan’s “Building the Wall’’ is set in 2019 and explores the deadly consequences for immigrant detainees in a private prison system after martial law was declared following a terrorist attack in Times Square. Playwrights could also create dramas that are rooted in the lives of the alienated white working-class voters who formed a major part of Trump’s base, and attempt to understand the forces that animate them. 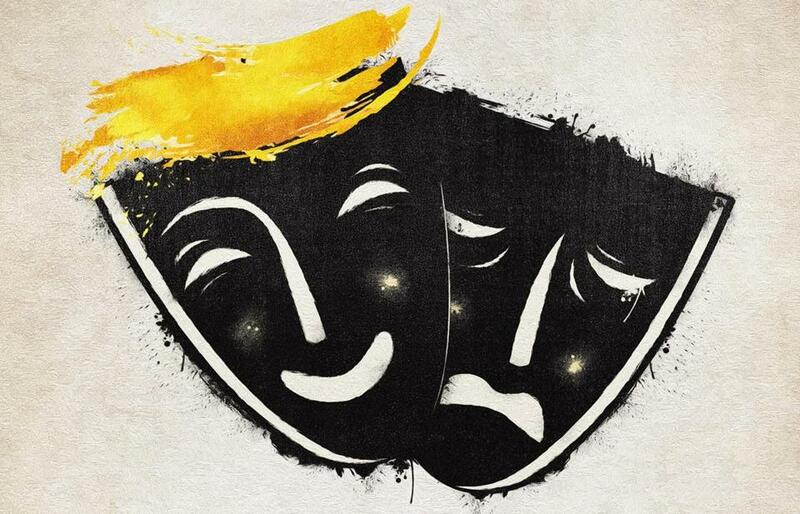 Whatever stories dramatists choose to tell, they can leverage theater’s singular status as a narrative art form that makes a direct connection to live audiences, offering a kind of two-way conversation that neither TV nor film can match. Strikingly, none of the four playwrights and one theater executive I spoke with said that targeting Trump directly with satire or polemical dramas would be a good use of time for contemporary playwrights. Taking the long view, they suggested, will ultimately result in work that is more penetrating, insightful, and enduring. He’s got a point. Nothing dates so quickly as a play written in a spirit of rage or scorn against a sitting president. When’s the last time you saw a revival of Barbara Garson’s 1967 satire “MacBird!,’’ a reworking of “Macbeth’’ in which the title character, representing Lyndon B. Johnson, engineers the murder of John Ken O’Dunc, representing John F. Kennedy? Or Gore Vidal’s 1972 “An Evening With Richard Nixon and . . .’’? The passage of time proved beneficial to playwright Schenkkan when it came to “All the Way,’’ which dramatized LBJ’s efforts to pass the Civil Rights Act of 1964. After being presented at the ART four years ago, “All the Way’’ moved to Broadway and then to HBO. Will Schenkkan enjoy similar success with “Building the Wall,’’ written in the anti-Trump heat of the moment? We’ll see. As playwrights ponder how to respond to Trump, it’s worth considering that the very existence of theater can be seen as a kind of rebuff to the new president, who clashed with the theater world even before he was sworn in (the “Hamilton’’-Mike Pence episode).